Facing a long and drawn out legal battle with chip-maker Qualcomm, Apple is apparently increasing its use of Intel-branded chips in its Apple smartphones, despite previously reported weak performance from their parts. According to a new report from DigiTimes, the reported increase of Intel wireless chips in iPhone could extend into 2018, suggesting that the upcoming iPhone 7S, iPhone 7S Plus, and iPhone 8 have a much higher chance of receiving Intel chips rather than Qualcomm-branded chips. “Apple’s outsourcing proportion to Intel for the next-generation iPhone baseband chips has risen to about 50% for orders running through the end of 2017 due to the lawsuit between Qualcomm and Apple, which has grown fiercer recently,” reads the report. “Since both Qualcomm and Apple are unwilling to give in to make peace, some market watchers believe Apple is likely to shift even more baseband chip orders away from Qualcomm with Intel to supply over 70% of the baseband products for iPhones by 2018,” the report continued. In 2016, Apple sourced its wireless chips from both manufacturers for the iPhone 7 and iPhone 7 Plus. Apple generally followed a ratio of 70 percent sourced Qualcomm chips and 30 percent Intel. “In early 2017, Apple filed a lawsuit at California’s district court, suing Qualcomm for its high royalty fees and also recently suspended its royalty payments to Qualcomm,” reads the report. 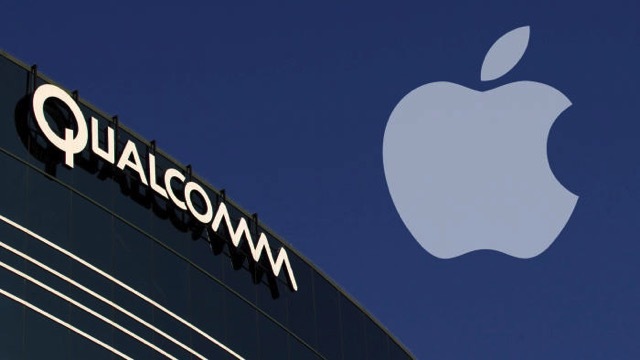 A countersuit was launched in April, and Qualcomm even pressed charges against Apple’s upstream suppliers including Foxconn Electronics (Hon Hai Precision Industry), Pegatron Technology, Wistron and Compal Electronics. Since then Qualcomm has also sought a court order asking that Apple’s suppliers keep paying royalties. Those suppliers stopped paying Qualcomm earlier this year.